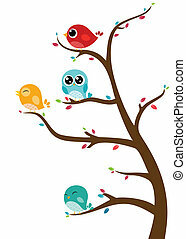 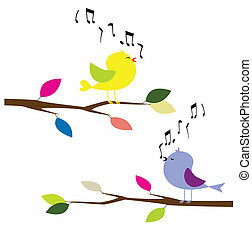 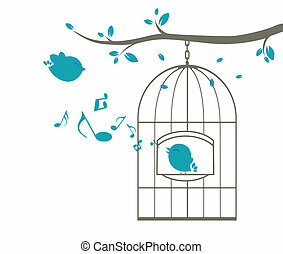 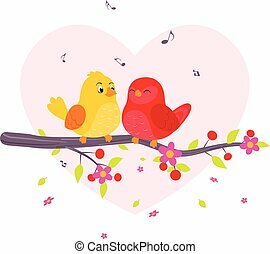 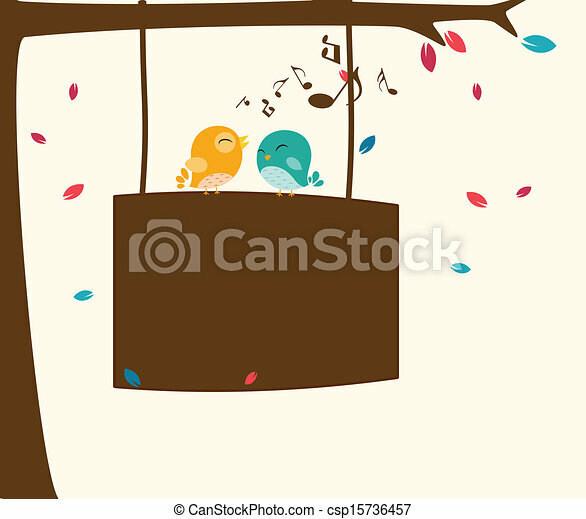 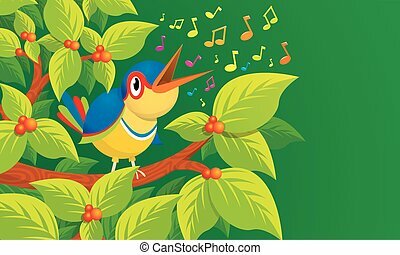 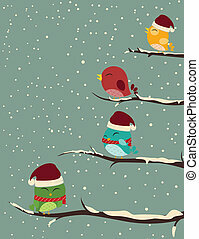 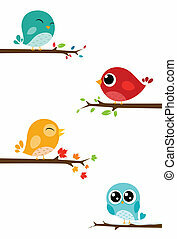 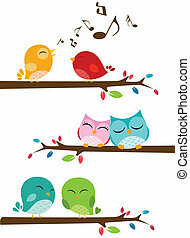 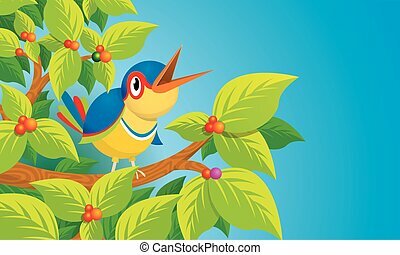 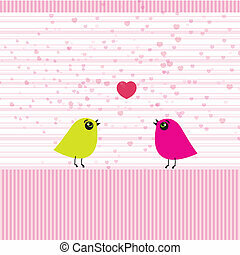 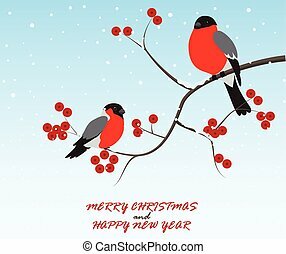 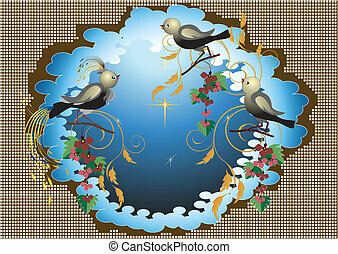 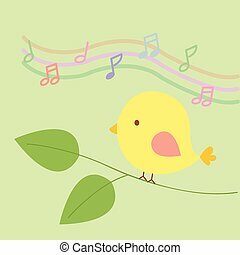 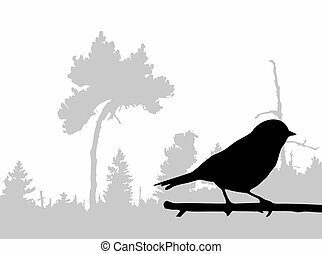 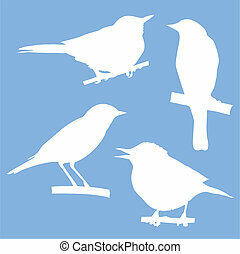 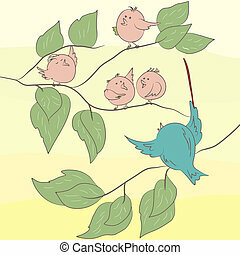 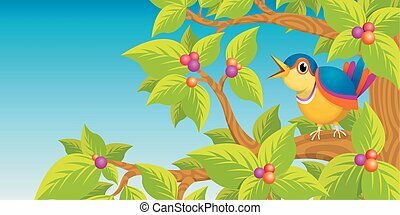 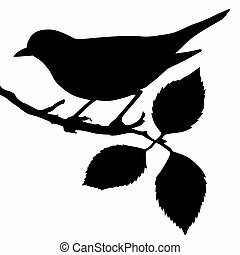 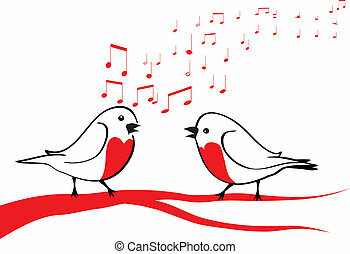 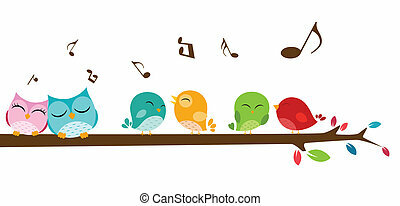 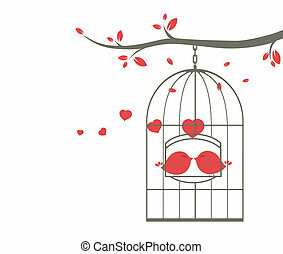 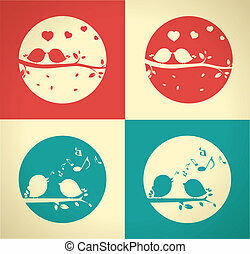 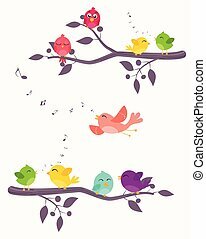 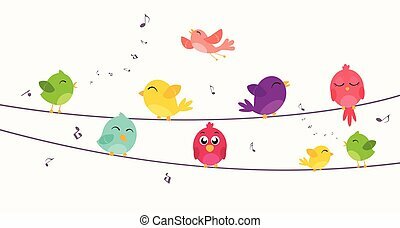 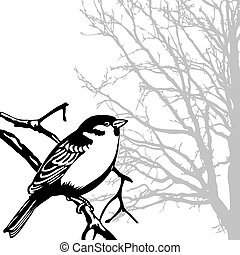 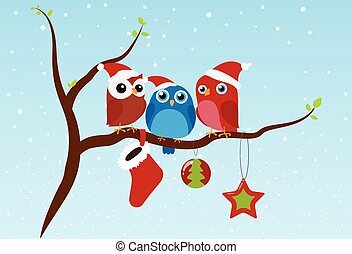 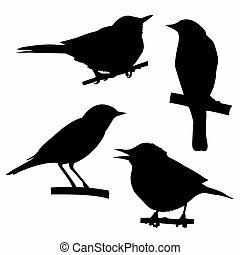 Vector illustration of birds singing on the branch with sign. 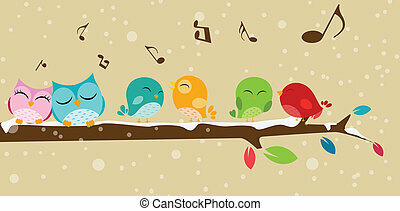 Birds are singing on the branches. 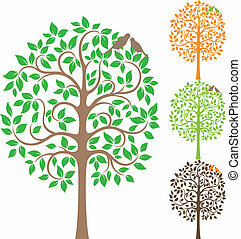 Earth tone color.